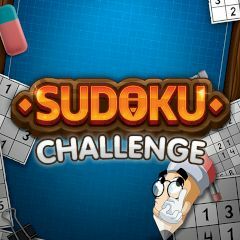 Have you ever played Sudoku before? In this game you have to fill empty tiles with certain numbers and complete the entire pattern, so lines won't conflict with each other. Play tutorial and start the game by selecting game mode. Small, medium or huge patterns are available for you. Try to complete the hardest level and show how it is done.